The movement of your foot and ankle is very important to have a healthy and active lifestyle! We see many patients that have ankle pain, heel pain, heel spur, broken ankles, swollen ankles, achilles tendonitis, and so much more associated with the foot or ankle. The following are examples of what might be included in your individualized physical therapy treatment program: Mulligan/ Maitland joint mobilizations, Mackenzie exercises based on extension or flexion, soft tissue mobilization with Graston techniques, ASTYM, modalities for comfort (cold/hot pack, e-stim, ultrasound), dry needling, traction, use of our reformer, and much more! Below is a list of the most common areas of injury or pain with the foot and ankle that we treat in our clinics. If you are having foot pain, it might be associated with plantar fasciitis! Plantar fasciitis is inflammation of the plantar fascia tendon which is attached to the calcaneous, which is known as your heel. Plantar fasciitis is commonly found in individuals with high arches, flat feet or walk with bare feet. Physical Therapy can help to decrease pain in the plantar aspect of the foot, improve muscle flexibility and increase ankle strength. During your Physical Therapy we can also customize arch support in order to decrease pain and improve the walking cycle. Achilles tendinitis is inflammation of the Achilles Tendon as it attaches to the calcaneus (heel), more specifically to the posterior of your heel. Often time’s patients have Achilles tendon pain or heel pain, which could be a result of Achilles tendinitis. The Achilles tendon connects the muscle of the gastrocnemius (calf) to the heel bone (calcaneus). 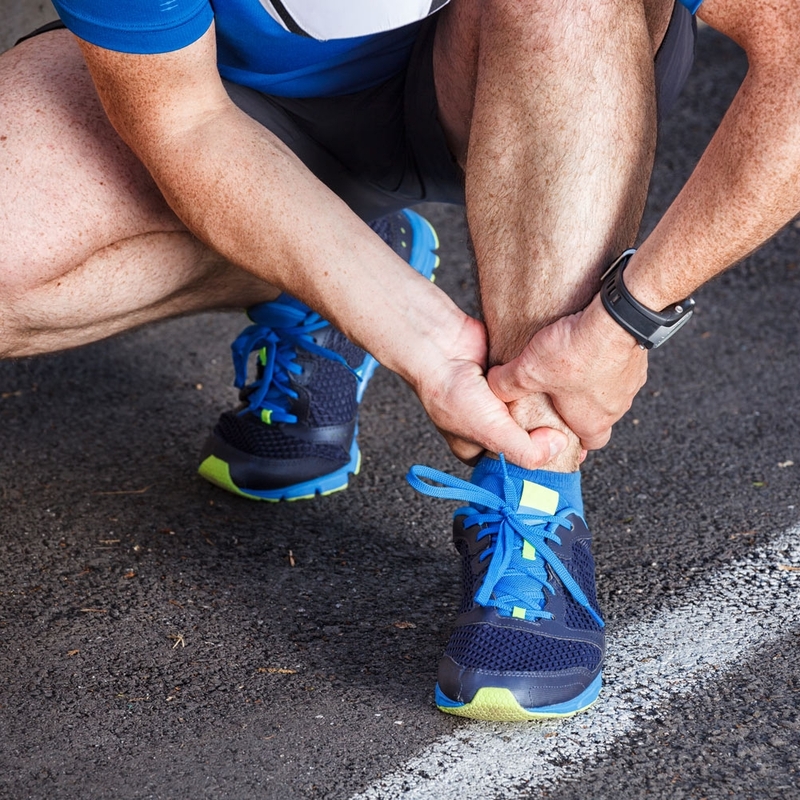 A sprained ankle is caused by putting the ankle into a position where the ligaments that support the ankle medially and laterally are stretched. The lateral ligaments are usually injured the most secondary to stability of the ankle joint. The ankle joint is prone to being put into a plantar flexed and inverted direction, which stretches the lateral ligaments. Not only do we help with a sprained ankle, but also with broken ankles, swollen ankles, and general ankle pain. Physical Therapy can help sprained ankles which are acute and chronic. During our Physical Therapy evaluation and treatment we work to reduce swelling, increase ankle strength, balance and endurance. The heel cord is also known as the Achilles tendon, which attaches to the gastrocnemius (calf) muscle. Tightness in the Achilles tendon can be due to a strain of the calf muscle, overuse, and/or lack of proper stretching. Physical Therapy can help educate individuals on proper stretching of the lower extremities, arch/shoe support and workout routines which include cross training and rest days.